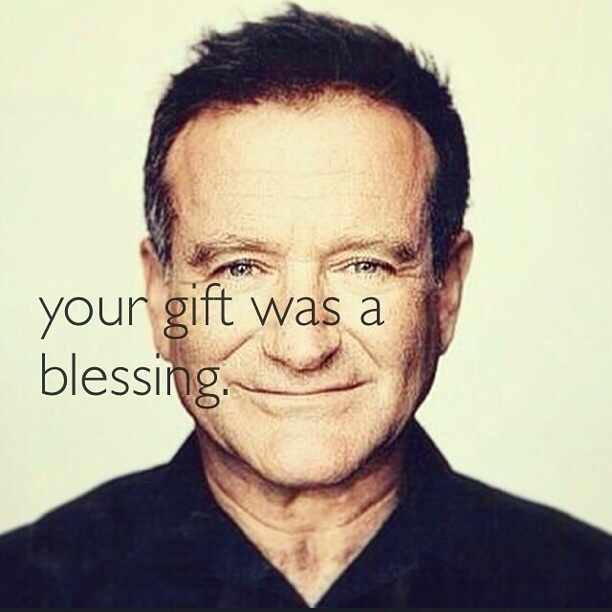 I grew up with Robin Williams. We hung out in my living room, every week, for years. As a young adult, I fell in love with him on the big screen. Some of my favorite cinematic experiences are owed to him; Dead Poets Society, Mrs. Doubtfire, Good Will Hunting, The Birdcage ...the list is tremendous. I haven't been able to contain my sadness about his death. The idea that such a gift to the world was in enough pain to want to exit, leaves me distressed. What I wish for everyone, is the courage to reach out. There should be no condemnation for seeking help. If your bone was broken, would you not cast or splint it, for healing aid? Why not the heart, psyche and mind? I pray for Robin's family. And I implore all of you to rebuke fear and pride. Take care of you AND each other.